il have to ask my photographer. this was a throwaway pic from my photoshoot. Goodness, I hate the color red on 99% of cars but both your cl and this are stunning . Diddy - Glad to hear you were OK and everything worked out for the best!! thats what i said lol. im hearing that more often. i thought red was always a popular color especially on sports cars. finally got my steering wheel swap done. still have to go to the dealer and get the oem leather cover stitched on. loving the more modern look of the new wheel. That steering wheel swap is awesome! What a change that makes to the interior. thanks. im slowly but surly replacing old/worn interior pieces or updating it all together. i want my '95 interior to look like it just came off the showroom floor. 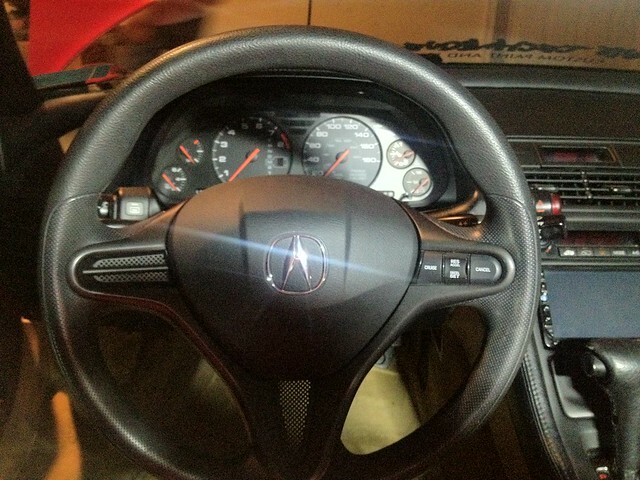 can you believe in '05 the last year of the nsx they still had that same steering wheel. i can see maybe in '95 but '05! went back home to Atlanta to visit the fam and it was a local nsx owner that helped me with the install. Last edited by p.diddy; 08-29-2012 at 07:28 PM. a few more pics my photographer sent from my photoshoot. he says he still has a few more to send me. That 2nd shot looks like its waiting at the gates of heaven for me. Friend's of FYAH TL I see?!! 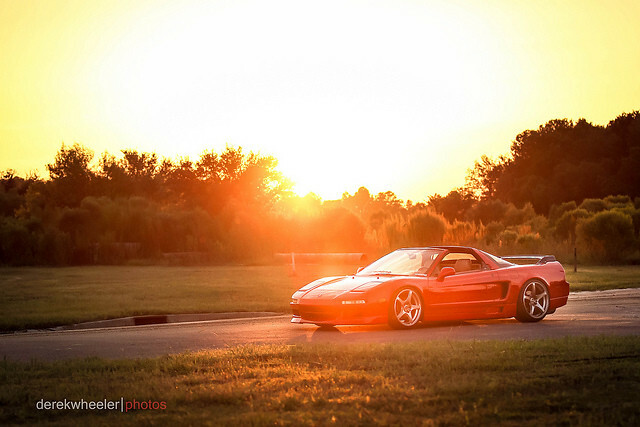 Gorgeous NSX...I don't know if it's because the demographic that normally owns the car likes it all original, but you just convinced me that I certainly don't. 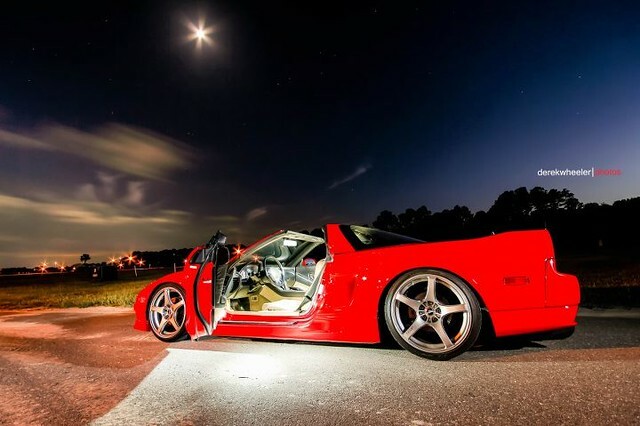 A tastefully modded NSX is about as close to perfection as you can come. 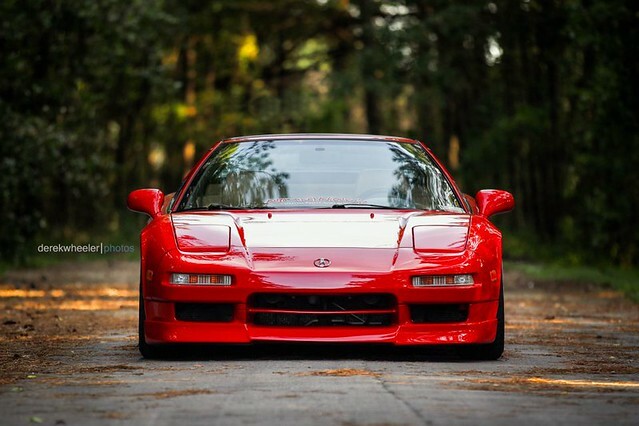 Your NSX has been showing up in my newsfeed. yea FYAH's my boy. i completely agree. stock its great but a few pieces makes it so much better. that last statement you made, i get that all the time lol. lol yea Derek told me he knew you through s2ki. Man those are some sick shots! Do u still have cruise control? right now the buttons arent hooked up. ive been looking for a decent priced airbag and actually just found one yesterday. once the airbag gets here ill be able to hook them up. but i never use cruise anyway. i really just want my horn to work. Wire up your own friggin bullhorn to the oem horn button. 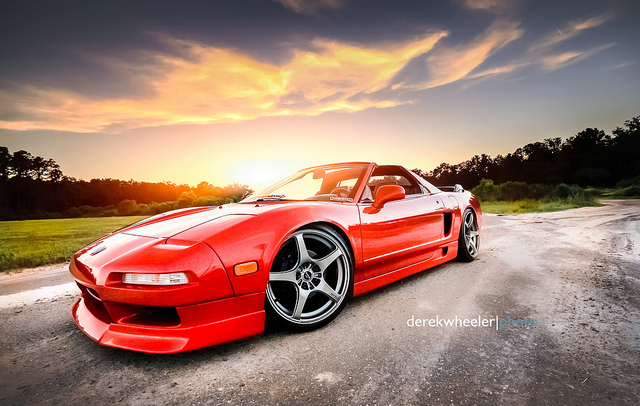 How awesome would that be, coming from an NSX?! I know, wasn't knocking it...how the car shifts isn't going to make me love that car any less. How did the motor take to all the power adders...those headers were pretty serious. Tell him I say hello...him and his infatuation with eating those dang sunflower seeds! lol that'd be funny coming from an nsx. oh no i didnt take it that way. they gave it a nice bump in power but i want more. planning on shipping the car to science of speed next year to rebuild the motor and it should come back with about 20 more hp after the rebuild. then the supercharger will be coming afterwards. those are my long term goals for power. planning on shipping the car to science of speed next year to rebuild the motor and it should come back with about 20 more hp after the rebuild. then the supercharger will be coming afterwards. those are my long term goals for power. Sounds like a solid plan. I've heard/seen good things come from SOS. 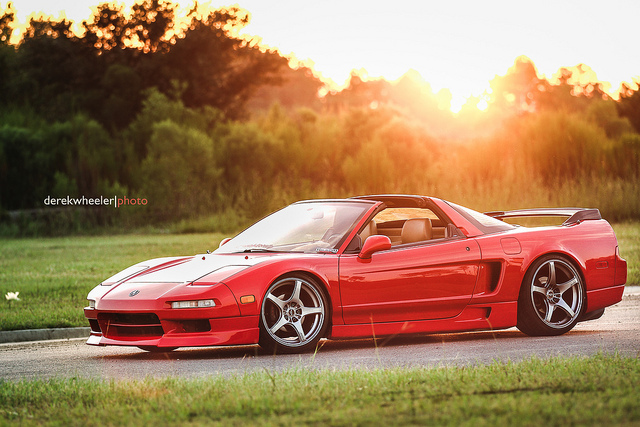 I had a buddy that had a body shop and ac repair company that had 2 veilside NSX's that were supercharged...amazing cars, man. gorgeous and fast! SOS will do the rebuild but i wont be using their S/C. i plan on going comptech for that. i miss having a S/C'd car. cant wait to finally get one. 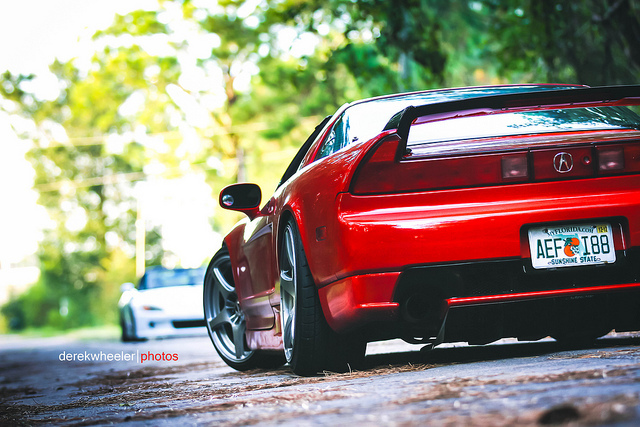 rode out with some ATL NSX's. lots of fun. didnt realize 4 nsx's in one place would garner so much attention. the silver and green one are turbo'd and f'n fast. the silver one was recently featured in honda tuning. WOW! 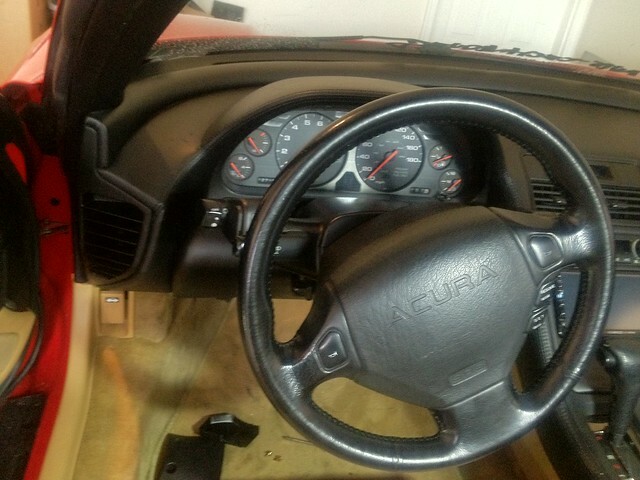 Your NSX is coming along very nicely, and that new steering makes a HUGE difference to the interior. Great job! Find More Posts by M.I.N.O. does the car have problems? thanks. loving the new wheel. for a "supercar" not really. typical for most hondas the window regulators tend to slow down over time, the climate control mother board will eventually go out but its a very easy fix. the 91-93 or through 94 has the snap ring issue. its a transmission defect issue. about a 2k one time fix. the dealer might even goodwill the fix. those are the 3 main issues that i know of. im still a noob with this car. overall its a great car. Is that black or Brooklands Green??? forgestar f14's on that black one? its brooklands green. the hood is carbon fiber and the roof is black. you have got to hear the turbo spool in person. its VERY loud and sounds so dope.